Who does not recognize this logo? It was actually designed by a college student and represents the wing of the Greek Goddess, Nike. No matter what color or size, this logo represents a brand that we all know. Logos are the visual representation of a company, and they must symbolize what that company does and offers; they must help establish a connection with customers. No company should ever be without a logo – it is how they will be remembered. If you need to create a logo, you have two options. You can hire a designer, of course. 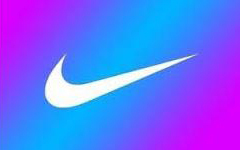 While the designer of Nike was originally paid $35 for her design, logo designers today charge much more. Or, you can access one of the great logo design websites and try your hand at making your own. A lot or small business owners have made their own and are thrilled with the results. Here are 9 great Logo creation websites you can check out. You work on your logo design on the site and can save that work until you are satisfied. Create as many as you want and download them all. Over 1000 templates are available and new ones are added all the time. You can also upload your own images if you prefer. Very easy to use and customize. Again, thousands of designs to choose from. Making and downloading your logo is free, but if you want the vector files, there is a cost. 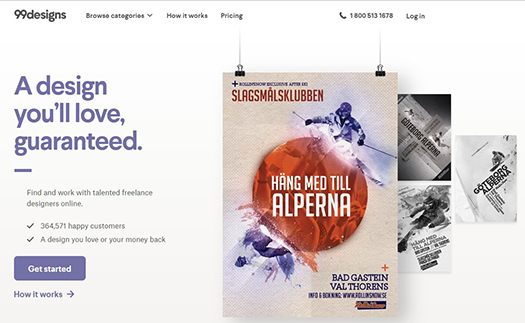 At this site you can also hire one of their designers to create a unique design for you, with prices beginning at $19. Design templates are categorized (e.g., children, sports, education, construction, accounting, etc.) for easy searching. One of the better known logo design sites, this one is easy to use. You can select a category, type in your company name or initials, and this tool will present a large number of logo design automatically. You can choose one, request more, or customize your own design. There are at least 100 design options from which to choose. Select your symbol, enter your company name, choose colors and font, and you will receive three options to download. Or select one of their designers for a fee and receive 8 options from which to choose. Here is a sample found on their website. Once you have your final product, just register and get your download. The vector file is available too, so that you can place your logo on anything. One of the important things about designing a logo is to have at all materials – your business cards, stationery, website and newsletter. This type of logo consistency will continue to remind consumers of who you are and what you do. 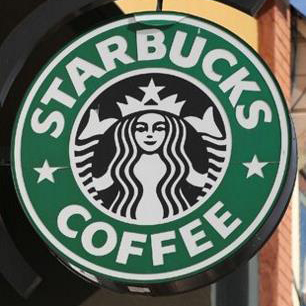 Think of this Starbucks logo for a minute. It is everywhere from on all of the company cups, to napkins, to advertisement, to signs. That is how the brand has come to be known all over the world. Step-by-step process is easy and efficient. You can have a great logo design with just a few minutes’ effort. After you have finished your creation, you can see what it will look like with different colors. Once you make your final decision, you will receive it in a zip file, with 6 different variations. You can also get high resolution images for a fee. Below is an example with color choices below. Clicking on each of the choices shows you just what your logo will look like with the color variations. Simplistic, clean designs and once you select the final designs you can play around with color and orientation to best suit your organization. There are pages and pages of designs. An additional option to purchase business cards is also available. Logos generated on this website are free for the basic design, with a fee for the vector files, and an additional fee for a custom designer in some instances. This website operates a bit differently, and you have to be willing to pay for your design. Here you set up a contest. You provide all of the information about your company, and send it out. Designers compete and come up with their creations. You choose the final one you like the best, and the winning designer is paid. 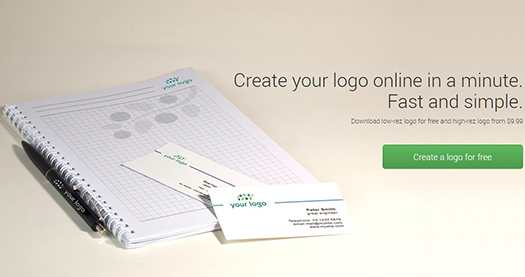 An easy walk-you-through free logo creator, with a large number of designs to choose from. Designs are categorized by type of organization. The one above is for business and consulting, and is just one page of many. Once the company name and any tag is provided, the user will pick a design. From there, the logo is produced and then is available for editing. Users can also upload images and graphics to be included. This is a non-nonsense site that will produce logo options quickly – options that are then available for editing. This is a fee-based site – one flat fee of $49. But for this fee, you will have access to over 15,000 icons with more added every week. You can design up to 6 different logos. Before you begin, there is an instruction tutorial which is really helpful. The process is very much like the other websites featured here, and you have the option to purchase business cards, stationery, other promotional items and clothing. Included in the $49 fee is a web-ready logo to be used on your website. For this price, this is a great option for making your own logo with lots of helpful advice and many more options than most other logo design websites. In this post I listed the 9 most popular and widely used logo design websites. If you have, for example, limited budget you can certainly do some additional online research and discover many more websites that are better fit for your specific needs. Still, this is a good place to start. Take a look at the websites listed here and get all the details of what they provide. You will discover that you can create a great logo for your brand with very little time or cost. If you have anything else to say, please share your opinion in the comments section. Your opinion matters, unless it is a Spam. Diana Beyer is experienced and self-driven media expert who is passionate about writing. Her purpose is to share values amid those interested. She is always seeking to discover a new ways for personal and professional growth. Connect with Diana though Twitter or visit her blog. We just wanted to say thanks for sharing info about our website. We have worked really hard to provide a cost effective way for people to get logo designs and we’re glad you ranked us in the top 9! 57 queries in 0.364 seconds.